Adafruit Holiday Gift Guide 2016 : Presents Under $10 – Pwn Gift Giving! #Tech #DIY #Holiday « Adafruit Industries – Makers, hackers, artists, designers and engineers! Holidays were always meant to be about good intentions and let’s face it, less is more. After all, we are witnessing the tiny house movement. It’s time to take back the true spirit with smart gifts that show you care. Not only will your friends and family appreciate your efforts, but they may find themselves indulging in more DIY making. So, give the gift that encourages education and creativity. Then, sit around the fire with some hot cocoa to talk about your future projects. Here’s some gift ideas to get you started. What’s cool about the holidays? The lights, of course! 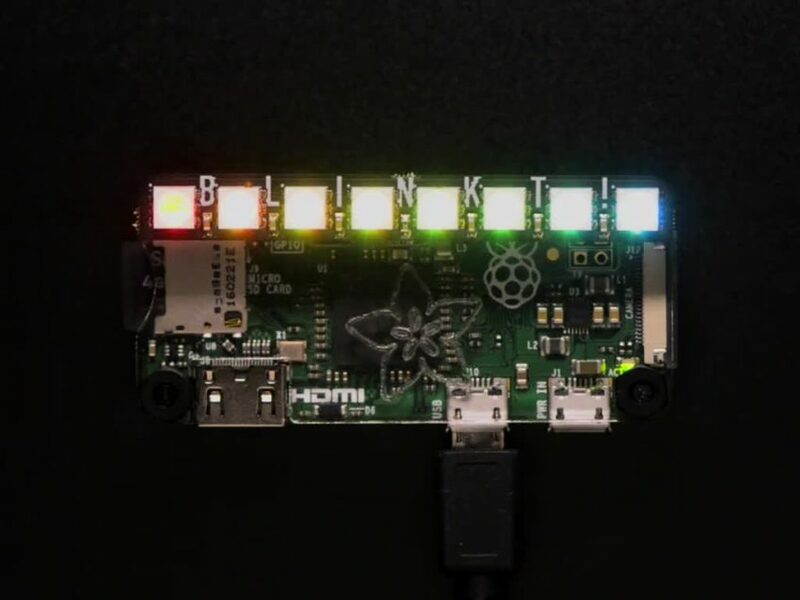 That’s why everyone should have this 8 RGB LED matrix that mounts perfectly on a Pi Zero or any other standard Pi (with a 2×20 connector). This Pimoroni Blinkt! can be used to visualize data for IoT projects or just to wow friends with colorful light shows. Everyone has some box shaped Arduinos around, but they usually don’t have a small compact one fit for wearables. That’s where the GEMMA Arduino comes in handy. You can solder it in a necklace or stitch it in a glove. The best part is this microcontroller is both tiny and inexpensive. Trust me that your friends will thank you for this one. Engineers and electronics lovers just have to smile with this gift. Mho is one of our Circuit Playground friends that loves to spread the word about the importance of resistors. He’s colorful yet he has a laid back, passive personality. Great for kids of all ages and it’s a smart way to start the discussion about electronics for STEM education. We all know people that talk about wanting to do an IoT project, but who is actually doing one? 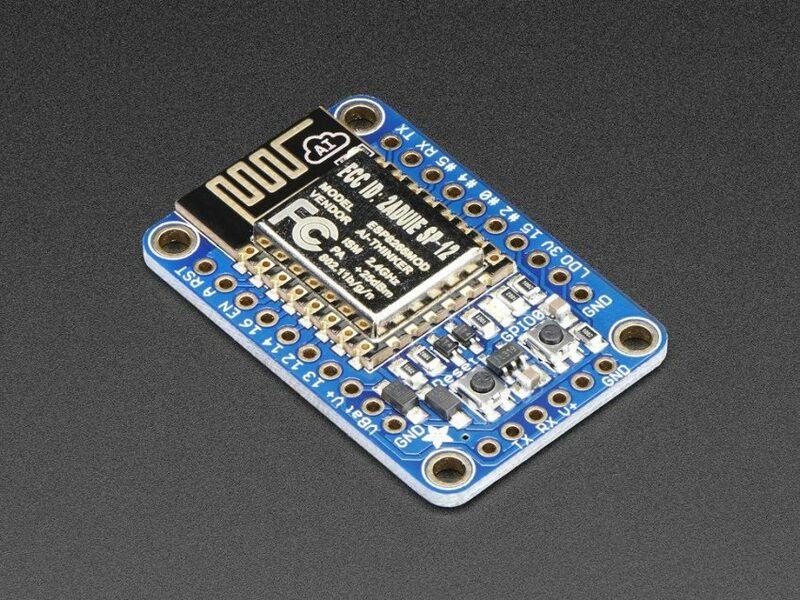 It’s time for the excuses to end with this inexpensive Adafruit HUZZAH ESP8266 Breakout. 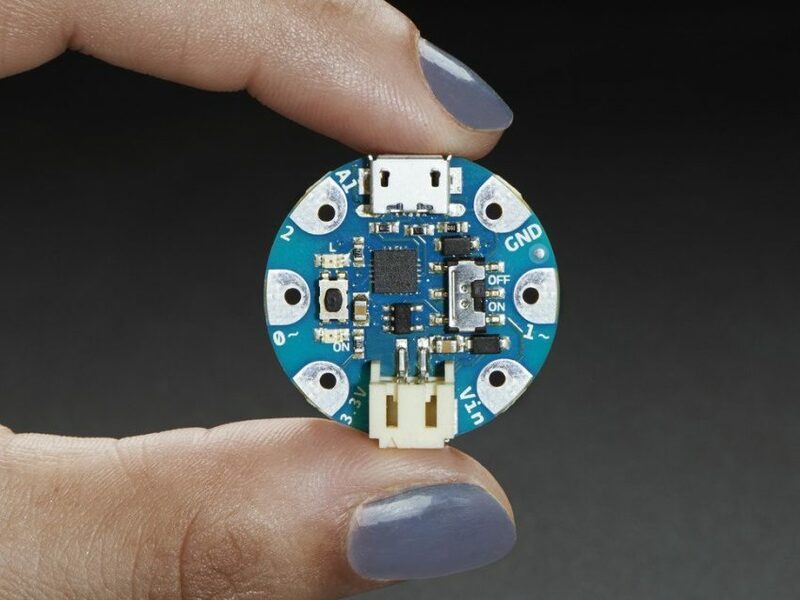 This simple board allows WiFi connectivity which means cool data for projects. With an FTDI friend/cable (or USB console cable) it’s easy to go Arduino. It also comes loaded with a Lua interpreter, so it’s flexible. If you are in doubt of what to get someone, this is an absolute winner. How do I know? 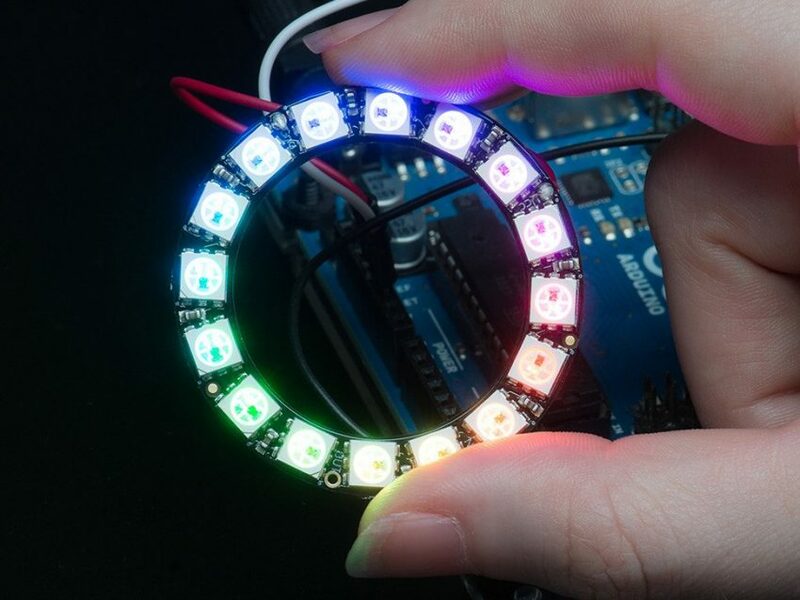 Every time I show someone a project with one of these NeoPixel Rings, they go crazy! I’ve seen makers using these for auto gauges and for heart rate visualizers. NeoPixels are already amazing with their color and brightness, but when turned into a ring they just become spectacular. They are individually addressable and work perfectly with the Adafruit NeoPixel library. 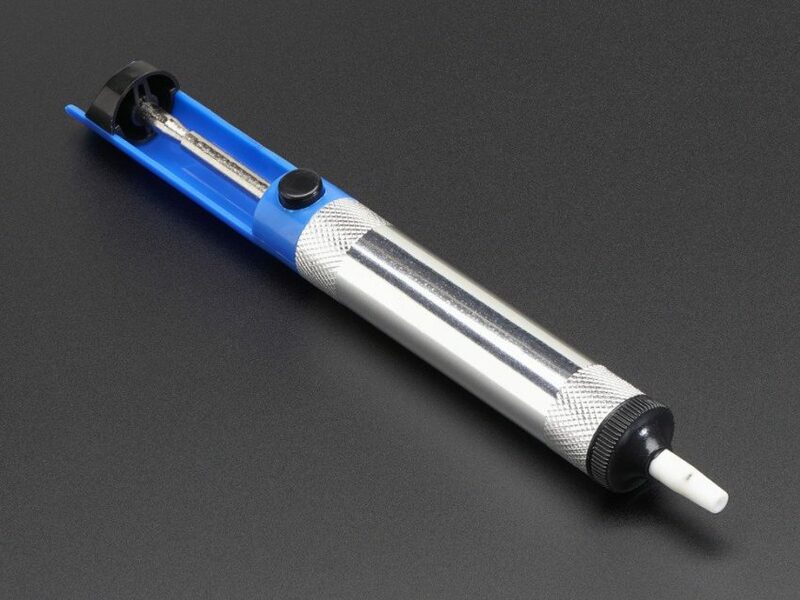 They have the soldering iron, they have the solder, and they even have the breadboard. However, did they ever plunk down a few dollars for a Solder Sucker? I know this little gadget has saved me from tossing at least three boards. Let’s face it, we aren’t perfect and sometimes things can get sloppy. Just one little zap and the mistake is gone. Give someone peace of mind for the holidays. There is nothing like Hand Moldable Plastic for someone that wants to build their own costumes. These are low temperature thermoplastic beads that are fun to work with since they can be reshaped over again. Think morphing blob of goodness that hardens into a white artistic creation. 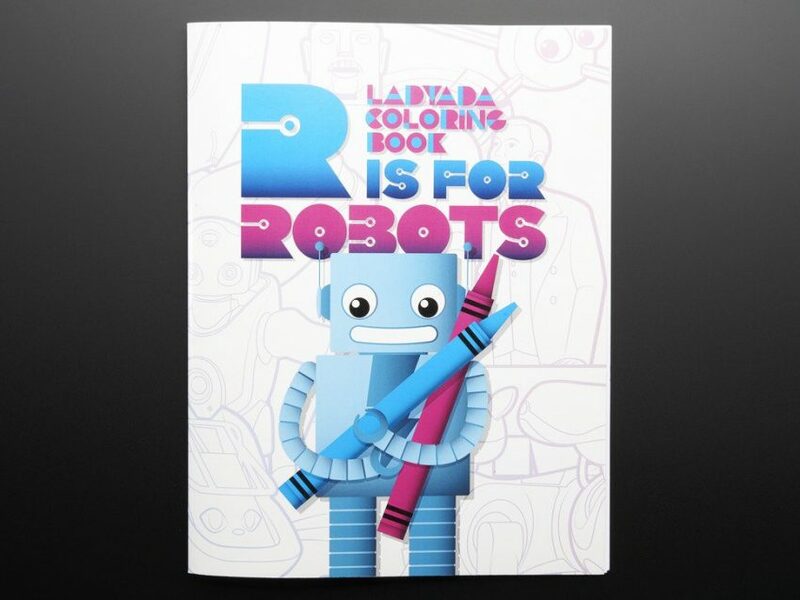 Our R is for Robots Coloring Book is a fun way to explore robots for kids big and small. It includes info about inventors as well as fun types like Hexapods. So, if you know a robot fan, this could be the perfect little gift. There’s also a trend these days for coloring as a mindful exercise in between stressful work situations. Just sayin’. Hope you have enjoyed my picks for reasonably priced gifts. No matter how you celebrate your holidays, make sure the stress is at a minimum. Break out your own making materials or just look over some code if you feel overwhelmed. Your knowledge of tech and making may just be the perfect icebreaker for the shy kid in the corner. Have a great holiday!